Happy 4/20! 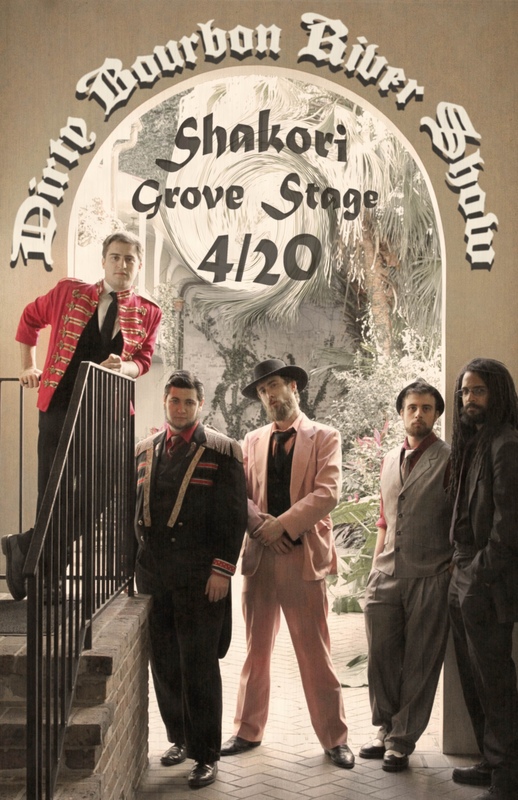 Tonight we have the pleasure of headlining the Grove stage at the Shakori Hills Grassroots Festival! We have been looking forward to this for a long time. If tonight is anything like last year, things are going to get ridiculous. Dirty Bourbon kicks off at midnight. Still want a copy of this picture of you. I saw the show at Shakori this past weekend and I have fallen in love. You guys gave such a great show that Im skipping class Friday to come see you in Chapel Hill. I can’t wait to dance the night away to your incredible music all over again!